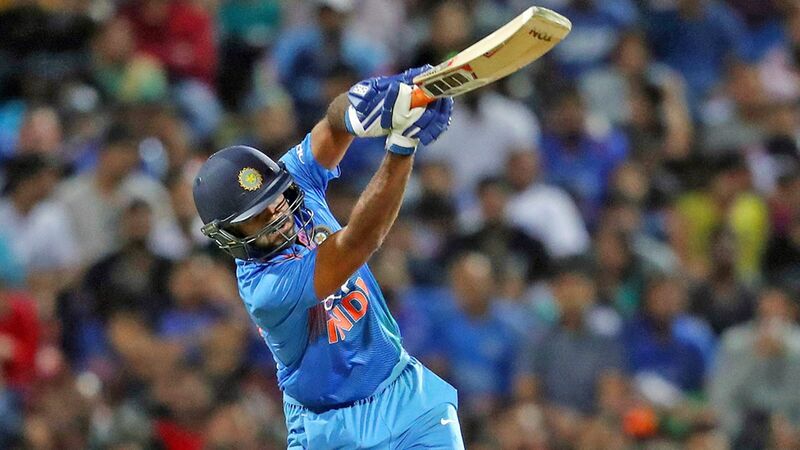 Rishabh Pant, Vijay Shankar and Ajinkya Rahane are all in contention for a World Cup berth, according to Indias chairman of selectors MSK Prasad. In an interview with ESPNcricnfo, Prasad said the selectors have virtually sealed the 15 spots barring the "one odd" position, which would be firmed up before deadline set by the ICC. If Pant is a "healthy headache", Prasad said, with his impressive performances in the New Zealand series this month, Vijay, who is seen as a batting allrounder, has brought in a new "dimension" to the World Cup selection. Pant might have only played three ODIs - all against West Indies in 2018 - but his good form in Test cricket and for India A in the last year has received a positive appraisal from the selectors. Prasad admitted about thinking of Pant as being a "thick-skinned" person, but that feeling has been replaced now by a young player who is showing a maturity at the highest level and commitment to the teams cause. "Undoubtedly he is in contention," Prasad said. "A healthy headache. The progression of Rishabh in the last one year is phenomenal across the formats. What we actually felt is he needs a bit of maturity now, gain more experience. That is reason we have included him in India A series wherever possible." Along with Dinesh Karthik, Pant was seen as the back-up wicketkeeper for MS Dhoni. However, with Karthik having settled down in the lower-order in the past 12 months, the selectors are now looking if Pant can be included as a specialist batsman. That position might have opened up also because of the weak form of KL Rahul since the South Africa tour last year across the three formats. In this period, Rahul has just played three ODIs - all during the England tour - and was recently suspended by the BCCI over an off-field controversy. Prasad pointed out that although Rahul still was in the race, he could jump over the competition now only by scoring runs. In contrast, Vijay, an outsider at the start of this year, has now leapt into contention with a promising display during the T20I series in New Zealand, where he was asked to bat in the top order. After India lost the series in Hamilton, the Tamil Nadu allrounder, said he was "surprised" to bat at No. 3, where he made 43. Prasad agreed that Vijay would be the fourth allrounder in the pool of 20 players the selectors have drawn up to then pick the final 15. "In whatever opportunities he has got, Vijay Shankar has shown the skillsets required at this level. We have been grooming him through India A tours in the last two years. But we will have to see where he can fit in the dynamics of this team." Till the England series last year, Rahul was being seen as the third opener by the selectors. With him struggling to find form and runs, the selectors have been forced to look for other options which is possibly why Rahane is once again part of the deliberations. Although he has not played for India in the ODIs since last years South Africa tour, Rahane has been solid in List A cricket for Mumbai: 597 runs in 11 innings at an average of 74.62 with two big hundreds and three fifties. Two of those fifties came recently for India in the ODI series against England Lions. "In domestic cricket he has been in form," Prasad said. "He is very much in contention for the World Cup." The full ESPNcricinfo interview with MSK Prasad appear on February 11.